Few things in this world are as captivating as a waterfall. Come across a waterfall on a hike, and you can’t help but become mesmerized by the sight and sound of falling water. 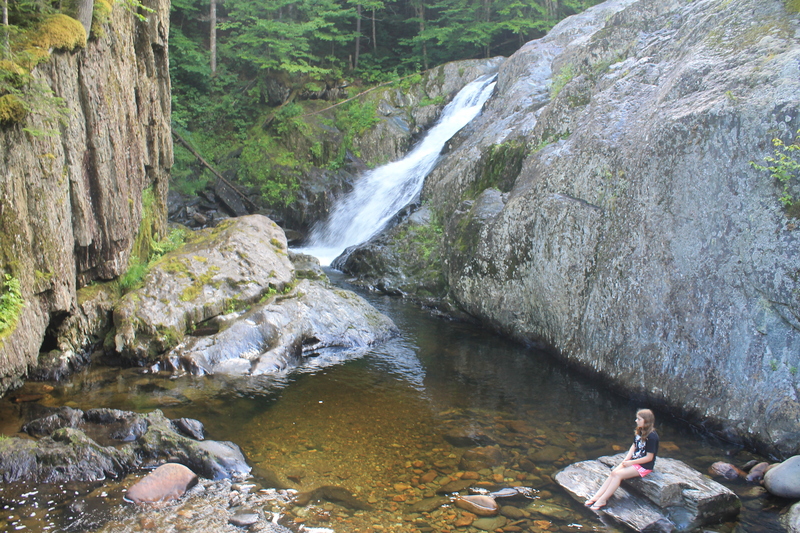 If you love waterfalls (and who doesn’t? ), now is the best time to see them. 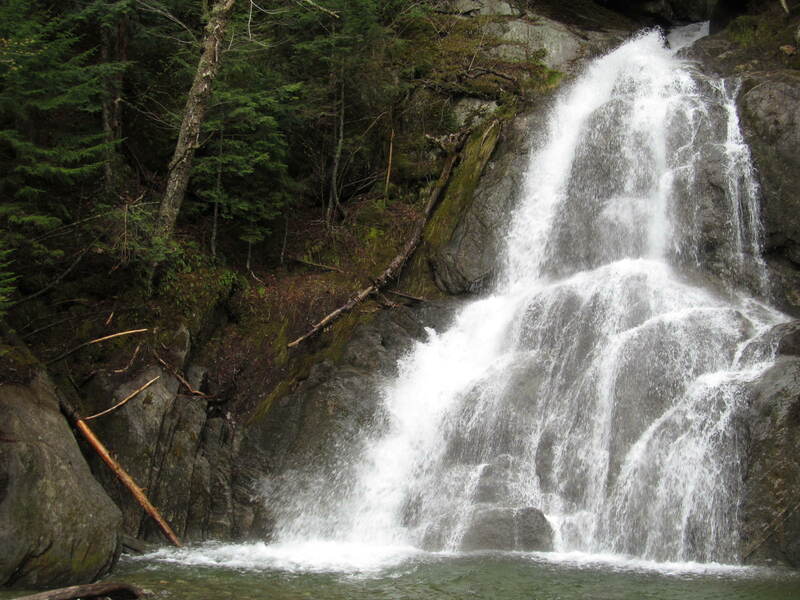 Fueled by melting snow and spring rains, Northeast waterfalls are at their peak power and beauty in the spring. 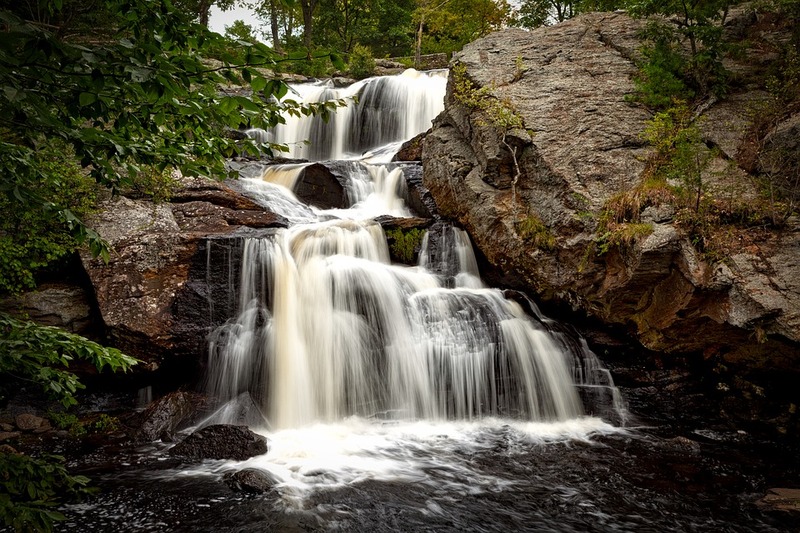 The Northeast has so many amazing waterfalls, it’s impossible to fit them into one article. This list isn’t even close to including all of the region’s best ones. But it’s a few of our favorites. 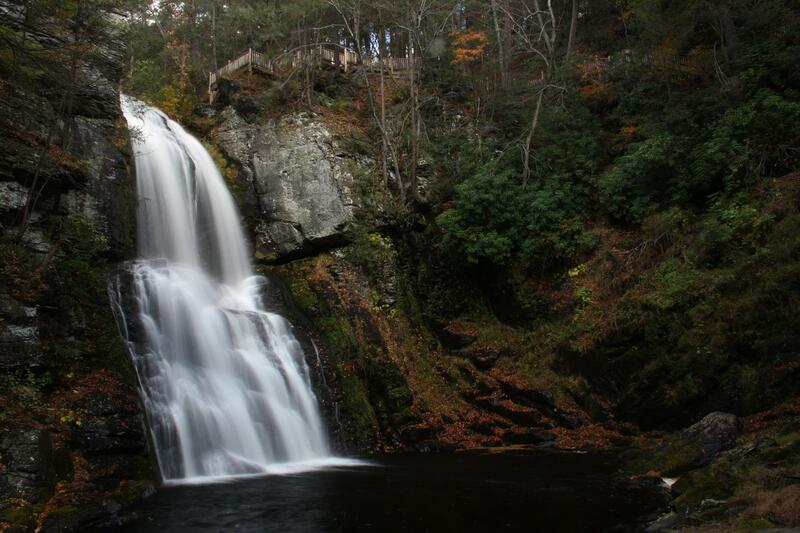 Check them out and then let us know your favorite Northeast waterfalls. KAATERSKILL FALLS – New York – This stunning waterfall in the Catskills is one of New York’s most popular natural attractions. 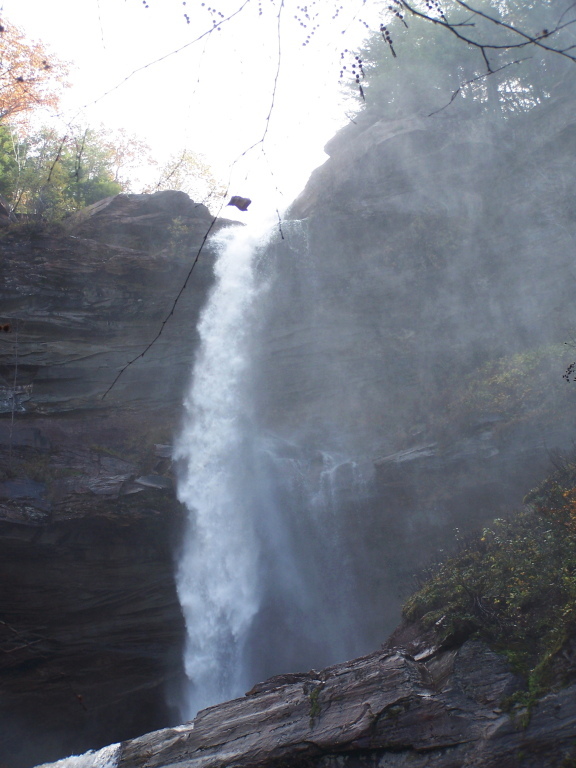 Kaaterskill Falls is the highest cascading waterfall in the state, dropping in two tiers over 260 feet. 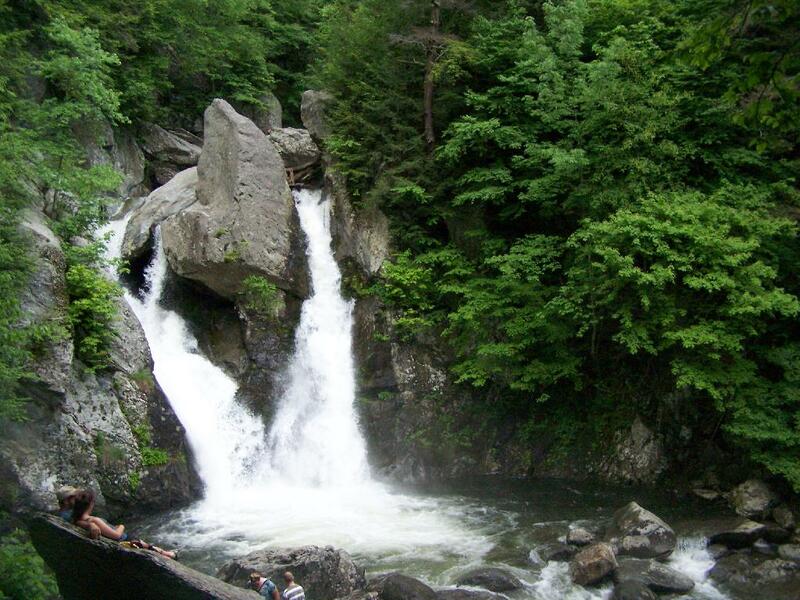 BASH BISH FALLS – Massachusetts – This waterfall in the Berkshires is the highest single-drop waterfall in Massachusetts. It drops roughly 200 feet over a series of cascades, with the final drop plunging in an 80-foot “V” into a beautiful pool. 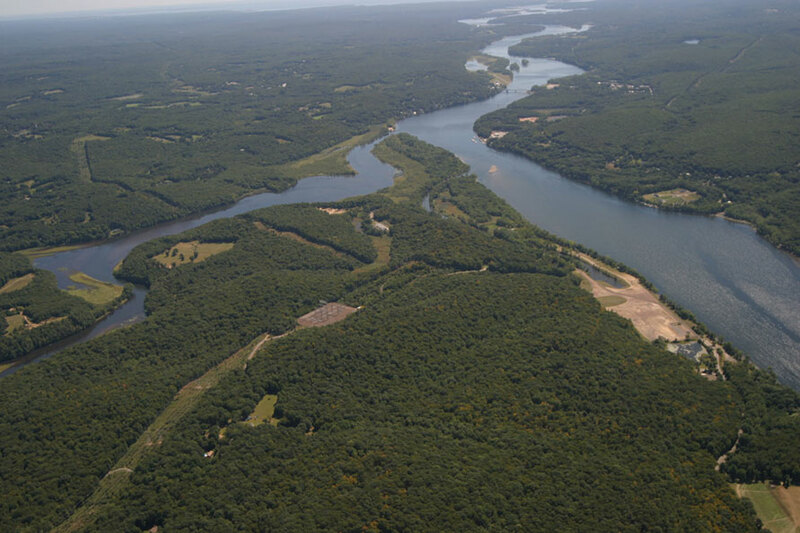 CHAPMAN FALLS – Connecticut – These beautiful falls are the centerpiece of Connecticut’s Devil’s Hopyard State Park. The falls drop more than 60 feet over a series of steps in a Scotland Schist stone formation. Perfectly cylindrical pothole formations are found nearby. BUSHKILL FALLS – Pennsylvania – Called the “Niagara of Pennsylvania,” the falls are one of the state’s most popular attractions. It features a series of eight unique waterfalls, with the highlight being the Main Falls, where the stream drops a dramatic 100 feet. 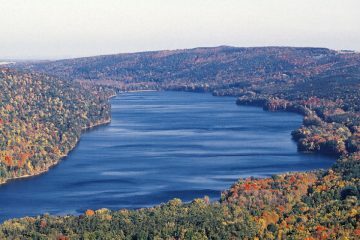 VERKEERDERKILL FALLS – New York (Sam’s Point) – Enjoy the highest waterfall trail in the Shawangunks. 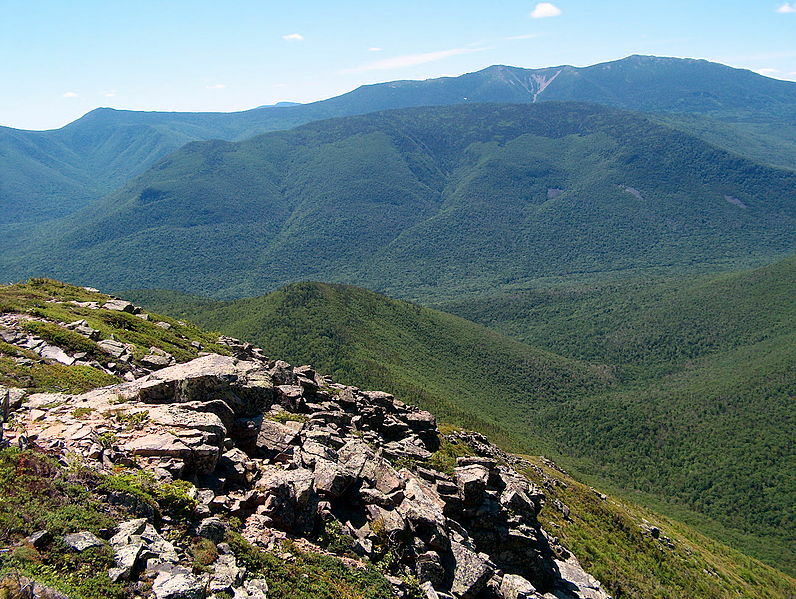 The narrow trail passes through rocky crevices, climbs up to Sam’s Point with spectacular views of the area, and leads to the 187-foot-high Verkeerderkill Falls. 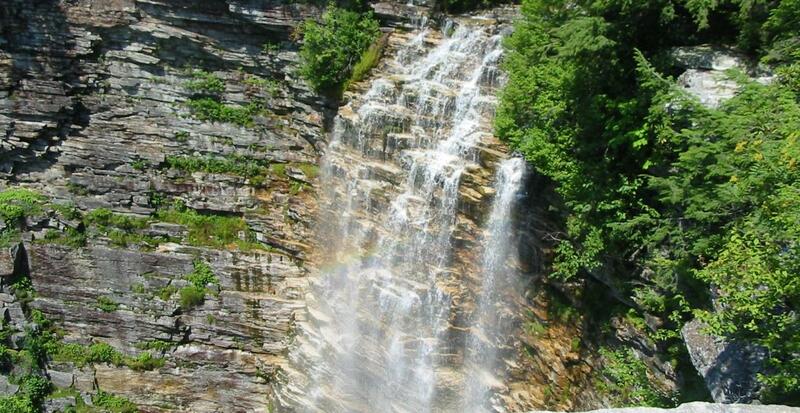 MOSS GLEN FALLS – Vermont – This dramatic waterfall tumbles 125 feet over several successive drops. You can access several different viewpoints near the falls, and several other scenic waterfalls are also nearby. 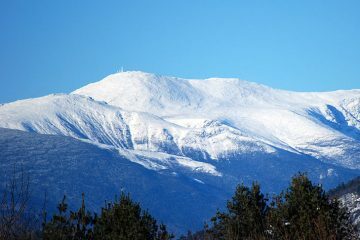 KATAHDIN FALLS – Maine – The tallest waterfall in Maine, these impressive falls drop roughly 800 feet, with a main drop of 280 feet. 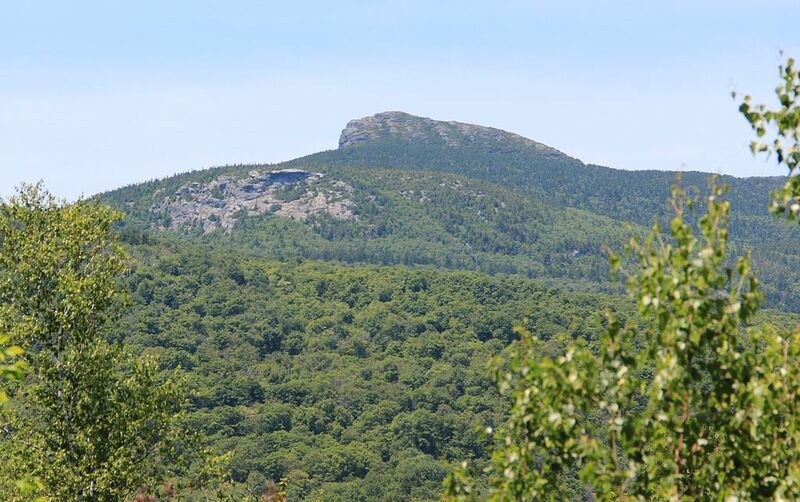 The hike to the falls is scenic and features the northernmost bridge on the Appalachian Trail. 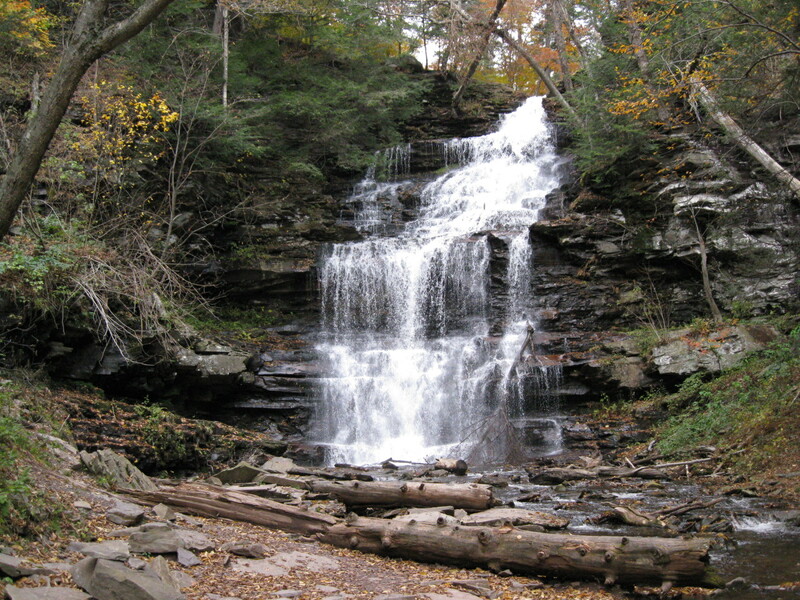 GANOGA FALLS – Pennsylvania – Ganoga Falls is the most popular of more than 20 scenic waterfalls in Pennsylvania’s 13,000-acre Ricketts Glen State Park. 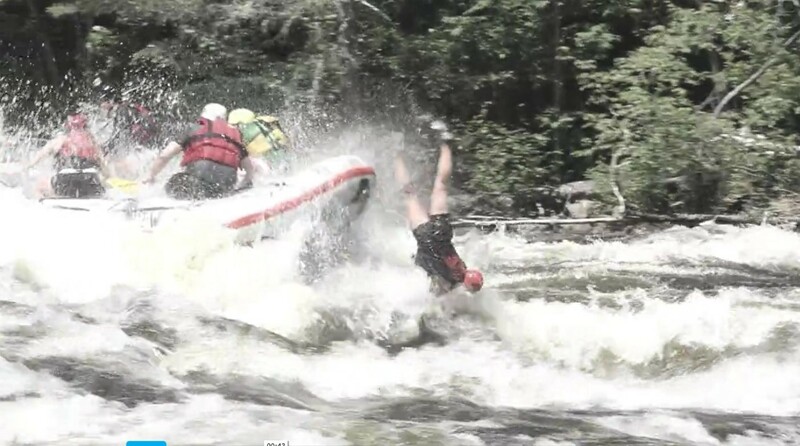 The falls drop 94 feet in two sections. 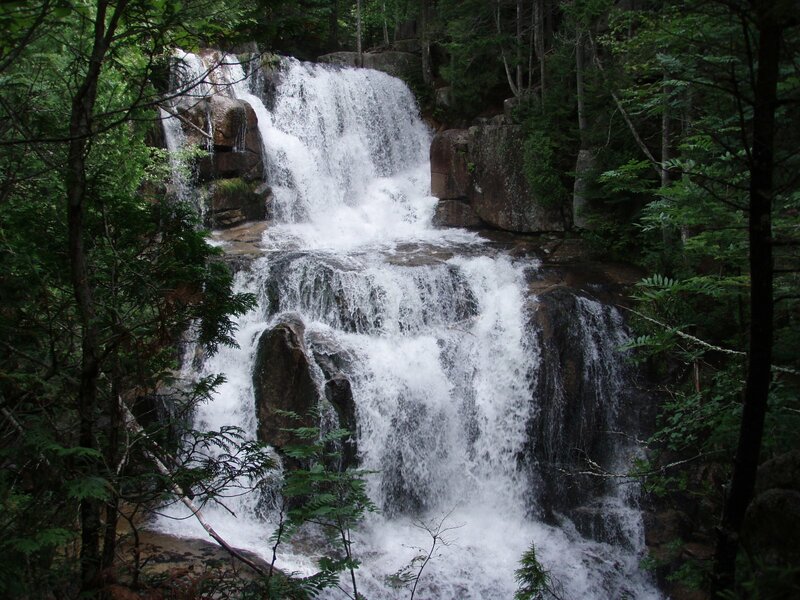 ARETHUSA FALLS – New Hampshire – Depending on who you talk to, Arethusa Falls is anywhere from 125-feet-tall to 200-feet-tall. 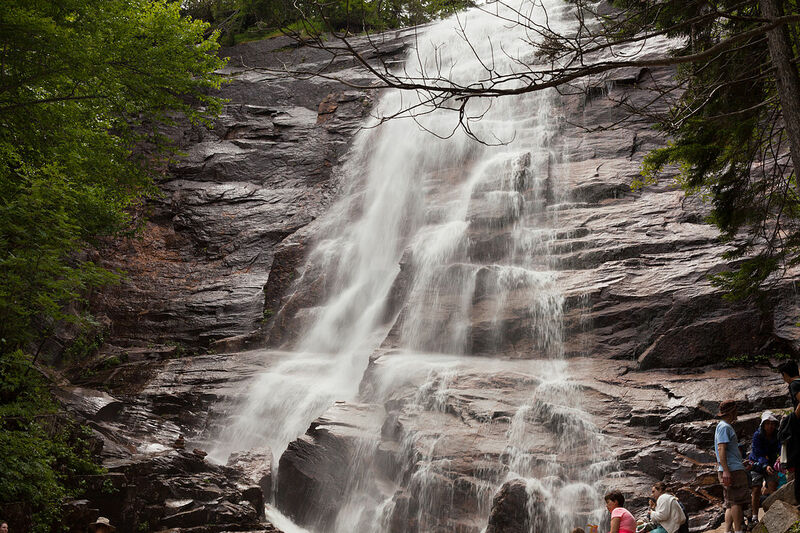 Considered by many to be the tallest single-drop, trail-accessible waterfall in New England, these captivating multi-tiered falls feature a dramatic drop and a popular swimming hole.